​Partnership is what enables many companies to make continuous improvement, and having said that we are committed to superior quality, we choose only who is BEST, and carry only TRUSTED BRANDS. Perkins Engines (officially Perkins Engines Company Limited), a subsidiary of Caterpillar Inc., is primarily a diesel engine manufacturer for several markets including Agricultural, Construction, Material Handling, Power Generation and Industrial. It was established in Peterborough in 1932. Over the years Perkins has expanded its engine ranges and produces thousands of different engine specifications including diesel and gas engines. 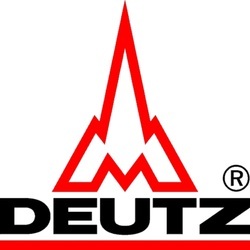 Deutz AG is an engine manufacturer, based in Cologne, Germany. The company was founded in 1864 as N. A. Otto & Cie by Nikolaus Otto, inventor of thefour-stroke internal combustion engine. Deutz's head office is in the Porz district of Cologne and as of 2004 was manufacturing liquid and air-cooled diesel engines. The larger engines in the Deutz range were manufactured in Mannheim, at a production facility that once belonged to MWM International Motores. Deutz also have production facilities in other countries including Spain and a joint venture production facility in China. After Deutz took over, the plant specialised in marine engines. This facility now produces engines for marine and power generation which can run on either fuel oils or fuel gases (including landfill gas). series diesel engines are renowned throughout thepower generation industry for high performance, compact design and competitive cost. FOTON 4JB1 is ideal powersolution for 15-30kW diesel genset application. Mecc Alte is an Italian electrical engineering company that makes electrical generators. It is based in Vicenza, in the Veneto region of north-east Italy. It was founded in 1947 in Alte near Vincenza. Since 1913, Marathon Electric has developed a reputation for conservative motor designs and highly engineered Products used in a vast array of commercial and industrial applications around the world. Our inverter duty motors are the motor of choice for the leading AC drive manufacturers around the Globe .The microMax®, BlueMAX® and BlackMAX® motors control pumps, drive fans andblowers,run conveyors and are used in thousands of mission critical applications where reliability and performance are the driving criteria.Marathon Electric has built on our legacy of innovation by combining magnetic and motors into a single leading technology. Our use of Magnology™ has led to the motor industry’s first axial and radial flux motors used in pumping applications. The imPulse®, imPower®and SyMAX™ permanent magnetic AC motor families offer unique solutions for today’s demanding applications. Their unparalleled power densities, unprecedented performance and unmatched efficiencies are another industry first.